Hi everyone! 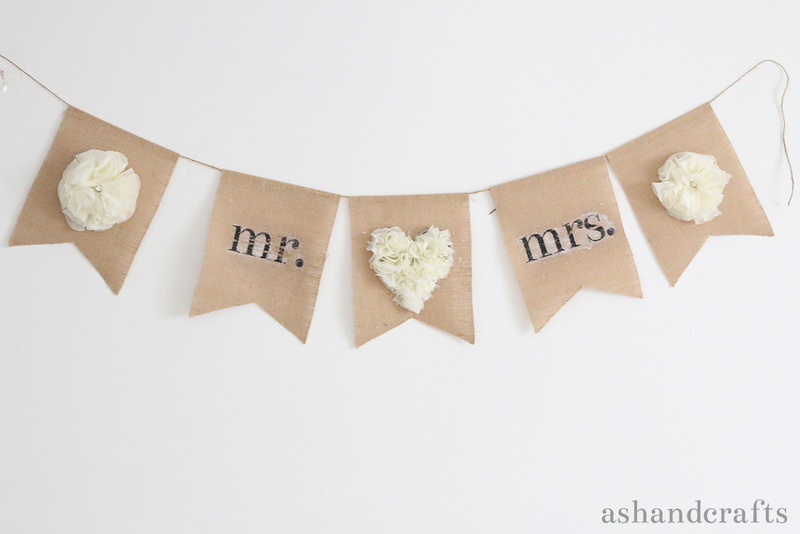 I’m back with a new wedding tutorial today! However, this can actually be used for any event because you can customize it! 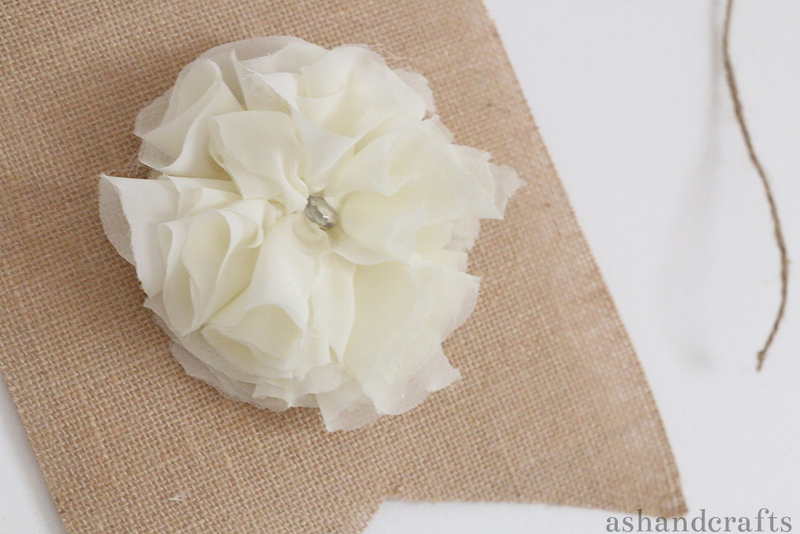 This tutorial is on a customized banner and creating a chiffon flower for that pretty, rustic look. 1. 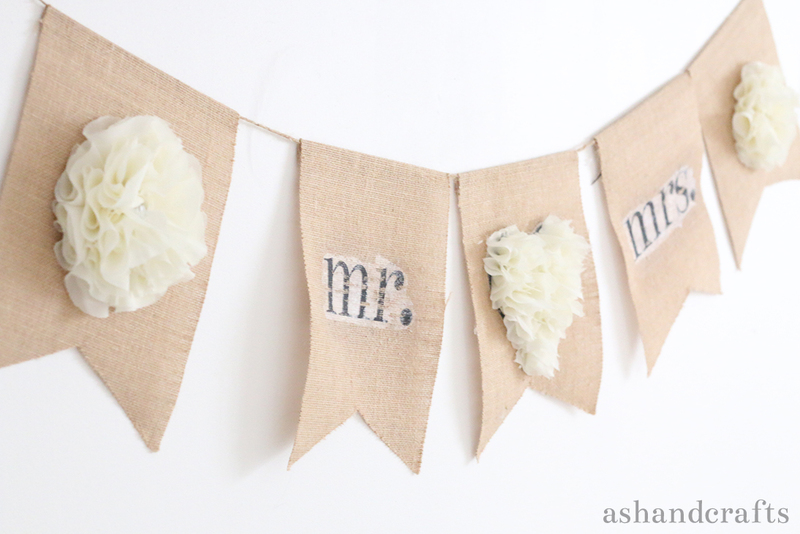 Jute banner – I was given one for free from Afloral.com. Currently I only see the triangle jute banner on their site, which would also work!2. Mirrored print out – whatever you want on your banner, text or image, mirrored and printed. I used my laser printer, but inkjet should work too. Give it a try on a small scrap piece before attempting. I hope you liked this tutorial! I am trying my best to get my paper flower and template store open and post a new free template as well! Please check back soon! I love all of your crafts, they are so beautiful, and your very thorough with your videos. Thanks so much you are a great inspiration to me 🙂 and Happy Holidays to You and your Family!